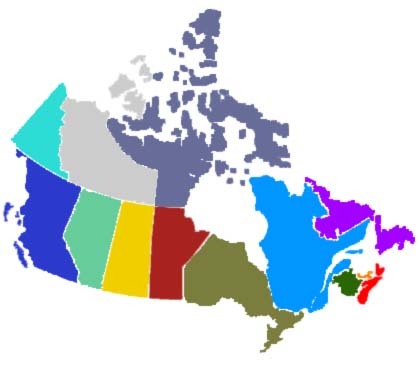 If you live near a provincial border it's not uncommon to have employees living in another province. HRM looks at the pitfalls and best practices. Many people live close to provincial borders. It's not uncommon for a resident in one province to be working in a neighbouring province. What if the employee is paying higher taxes in the Province of Employment than in his or her province of residence? For example, this can be the case, if the employee lives in Ontario, but is working in Québec. At times this does cause inequity, as that employee ultimately has to pay taxes based on the rates in place in the Province of residence as at December 31st. Where an employee can establish "undue hardship" as a result of income tax withheld at source, the employee may apply for a reduction in the amount of tax to be withheld. Application is made by completing Form T1213 - Request to Reduce Deductions at Source. This form is submitted to Canada Revenue Agency who will supply a letter of authority to reduce taxes to the employee. The employee in turn must provide this to the employer. The employer can only reduce tax deductions after receiving the official letter. It is extremely important for the employer to follow the instructions contained in the letter very carefully to determine how to provide tax relief at source.